Affordable Fencing Company has been the leading provider of affordable, superior quality fences, gates, patio covers and arbors for Ladera Ranch and San Juan Capistrano for almost three decades. We've served over 100,000 residential, commercial and industrial clients since we first opened in 1984, providing them with fencing that meets the highest of standards for construction and durability. 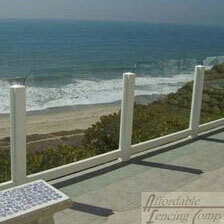 We're specialists in vinyl fences, but we also design and install custom fences in glass, wood and aluminum. 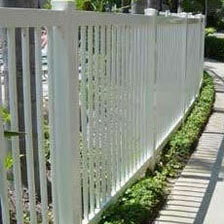 All our fences are fully customizable, made of durable materials, and feature the finest craftsmanship. For 30 years now, Ladera Ranch and San Juan Capistrano home and business owners alike have relied on Affordable Fencing Company for the best value in fences and gates. We offer free estimates for first-time installations in Ladera Ranch and San Juan Capistrano, and we work with you personally to design a fencing that is both reliable and cost-effective. 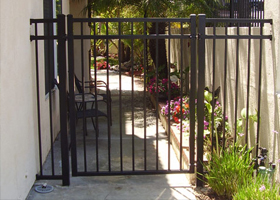 We've designed and installed numerous security fences, pool safety fences and property perimeter fences in Ladera Ranch and San Juan Capistrano, as well as patio covers, gates and arbors. You'll appreciate our highly professional service from the initial design through final installation, and the fact that our fences all come with 50-Year to Lifetime Warranties. Best of all, if you find a better published warranty with any other manufacturer of polyvinyl or PVC vinyl fences, Affordable Fencing Company will be happy to match it. We're fully licensed, bonded and insured, so you can trust us to provide you with qualified fence experts, high-quality materials, and honest estimates. To learn more about Affordable Fencing Company and our broad range of beautiful, long-lasting, and cost-effective fences, gates, patio covers and arbors for Ladera Ranch and San Juan Capistrano, call us today. We Will Even Match Other Vinyl Manufacturer's Warranties! Whether you're looking for a picket, private, semi-private, or ranch-rail style fence, Affordable Fencing Company is your best resource for exceptionally high-quality vinyl fencing. Ladera Ranch and San Juan Capistrano home and business owners choose our vinyl fences because they are economical, well-built, and customizable. Our vinyl fencing is available in any size, height, or width for residential and commercial use, in a broad range of colors, styles and finishes. Our substantial inventory also includes a variety of topper, cap and accent options. 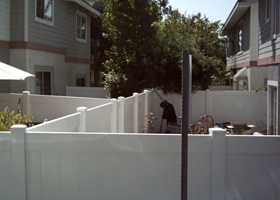 To learn more about Affordable Fencing Company's options for vinyl fencing in Ladera Ranch and San Juan Capistrano, or to schedule a free estimate, call us today. Over the years we've become the contractor of choice for the design and installation of vinyl gates for Ladera Ranch and San Juan Capistrano, CA. We carry over 50 gate styles including picket, private, and semi-private in many beautiful colors, with additional options for cap and accent features. We also carry a wide selection of locks, deadbolts, latches, levers, handles, and other hardware, all manufactured in the USA with industrial grade stainless steel. 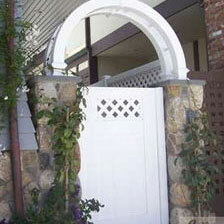 San Juan Capistrano home and business owners love Affordable Fencing Company's stylish vinyl arbors. 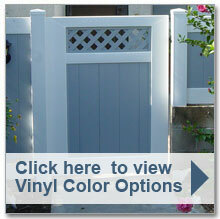 Our custom-made vinyl arbors are available in 16 different styles. 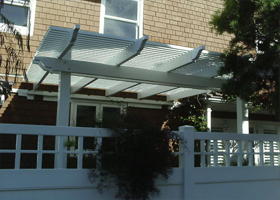 Affordable Fencing Company carries an extensive inventory of customizable, weather-resistant vinyl patio covers for Ladera Ranch homes and businesses, including solid top, louvered top, and 50/50 (half-solid, half-louvered). All of our vinyl patio covers can be custom cut to your specifications in size, height, or width, and come in a wide selection of styles and colors. 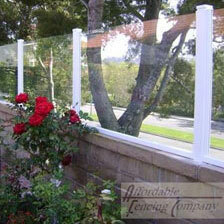 We can also add ceiling fans, solar lighting, and corbel ends to your patio cover. One reason our vinyl patio covers are so popular in Ladera Ranch is that they allow you to regulate the sunlight you receive indoors as well as out, helping you reduce your air conditioning use. 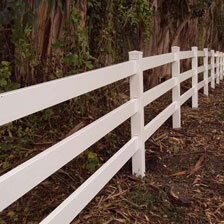 All of Affordable Fencing Company's vinyl products come with 50-year, fully transferable warranties. Our experienced and skilled craftsmen will ensure that the entire process--from initial consultation through final installation--is smooth and stress-free. 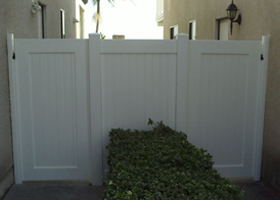 To learn more about Affordable Fencing Company's vinyl fencing, gates, patio covers, and arbors for Ladera Ranch homes and businesses, or to schedule your free estimate, call us today. For close to 30 years Affordable Fencing Company has provided a variety of aluminum fencing and gate options for Ladera Ranch & San Juan Capistrano homes and businesses, including spear top, flat top, and high security fencing. We offer aluminum fencing to meet the varied needs of our residential, commercial and industrial clients, and a variety of options, including five different colors (black, white, bronze, green and tan). Our aluminum fences are all finished with epoxy powder-coated paint, ensuring that your fence will never chip, peel, blister, or crack. We also install matching single- or double-entry aluminum gates (in grade as well as style) with features like security latches, motorized access control, and more. 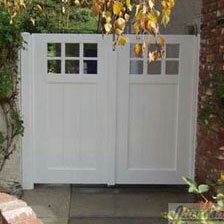 We use only powder-coated hinges and American-made stainless steel hardware for all our gates. 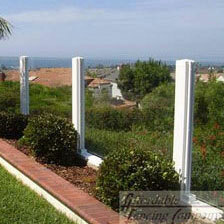 Call today for a free consultation on an aluminum fence and gate for your Ladera Ranch or San Juan Capistrano property. 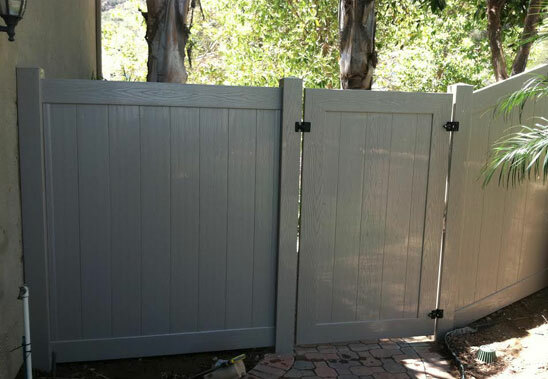 With nearly 30 years of experience and hundreds of thousands of satisfied customers, Affordable Fencing Company is Ladera Ranch and San Juan Capistrano's best choice for new and replacement wood fencing and gates. 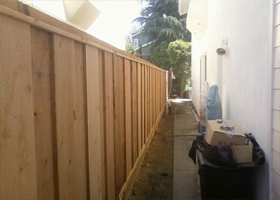 These durable, attractive fences are typically made of redwood, which can be stained or painted, and cut to any height or width. 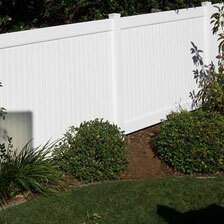 Our wood fences can feature dog-eared and cap and trim styles, with or without tongue and groove detail). 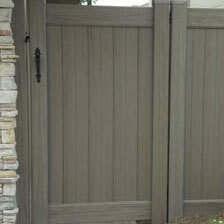 Additionally, our matching wood gates come with a variety of optional gate hardware and features, such as latches, locks, post caps, handles, levers, and more. Call us today to learn more about our wood fences and gates, or to schedule a FREE consultation and estimate for your Ladera Ranch and San Juan Capistrano property.